Overall, it came out pretty well, and already proved quite useful. 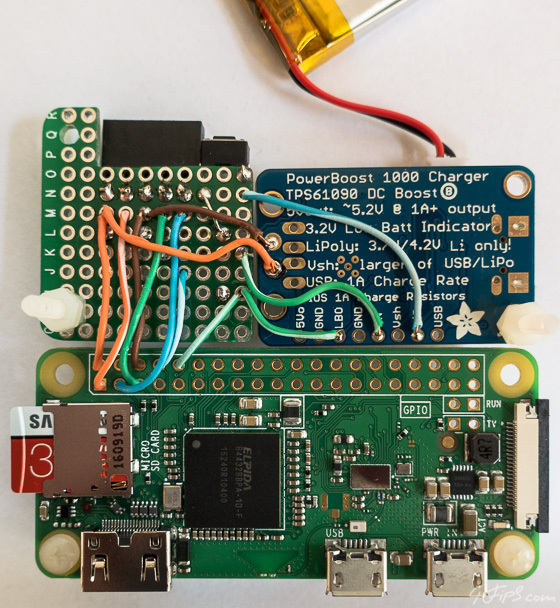 One difficulty I had to overcome was a problem related to the UART changes in Pi 3 / Zero W (discussed here), which I resolved by disabling the on-board Bluetooth and placing a 100uF capacitor across the 100k resistor as recommended. Another small annoyance that showed up later was audible whine of the PowerBoost (discussed here), this is quite unfortunate and ruins a bit otherwise amazing PowerBoost.